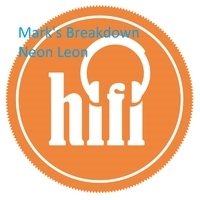 Mark's Breakdown is an instrumental piece performed on guitar by Neon Leon. It's in the fingerpicking country style. Neon Leon has lived and worked in Austin and San Antonio, Texas where he played guitar with Mickey Rooney, Bob Hope, Lee Greenwood, Danny Thomas, Maria Muldaur, Joel Grey, Herschel Bernardi, Dave Brubeck, Tanya Tucker, Little Jimmy Dickens, Porter Wagoner, Rusty Wier, Gary P. Nunn and many, many other performers. He has opened shows for Merle Haggard, Charley Pride, Neal McCoy, Toby Keith, Shania Twain, Steve Wariner, The Oak Ridge Boys, The Bellamy Brothers, and BR5-49. While he was serving as guitar player, bandleader, and road manager for Dino Lee and The White Trash Revue, they won Band of the Year in the Austin Chronicle Reader’s Poll (1986). In Nashville, Tennessee he performed at Opryland and played many pickup engagements and recording sessions. His most recent recording session in Nashville was a sweetening session for a single released by The Dixie Cadillacs, completed in 1.5 takes. In the Kansas City area, he has performed at Worlds of Fun, Glen’s Opry, Annie’s Opry, the North Towne Opry, the Union Mill Opry, and the Big Creek Opry. He has played on numerous recording sessions, and toured the USA and Canada alongside X-Factor contestant and recording artist Tate Stevens as members of The Dixie Cadillacs. Neon Leon studied guitar with Joe Pass, Howard Roberts, Tommy Tedesco, Joe Diorio, and Ron Eschete. He graduated from GIT with Vocational Honors, the highest certificate offered. While in California, he played many pickup engagements and recording sessions. He also played video games with guitarist Paul Gilbert (Mr. Big) and bowled with guitarists Scott Henderson (Tribal Tech) and Jennifer Batten (Michael Jackson). Neon Leon’s greatest thrill was meeting Chet Atkins in Nashville. While still a young man, Neon listened to Chet's recordings including "Yestergrooving" and "Chester and Lester" and was deeply influenced by them. In 2001 he traveled back to Nashville to attend Chet’s funeral. In 2006 Neon Leon released his first CD titled “Haircut” which is available on Amazon.com and iTunes. His latest release is a single called "Mark's Breakdown" released on Hi-Fi Records. His home is usually a motor home, a trailer, or sometimes a hotel room. You can find him playing on beat-up guitars and ruined amps and he plays piano and harmonica, too. His musical instruments are usually in and out of various pawn shops, depending on his particular financial situation at the moment. When not performing with the Ronni Ward Band, Neon Leon spends his time with his lovely wife and a whole bunch of dogs.